The Bank Australia Conservation Reserve at sunset. 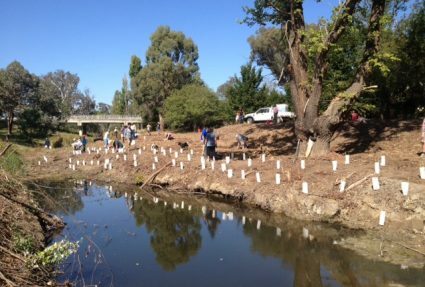 Greening Australia has formed a strategic new corporate partnership with Bank Australia to help develop the vision for their 954 hectare reserve in Victoria’s Wimmera region – a world first sustainability project for a bank. 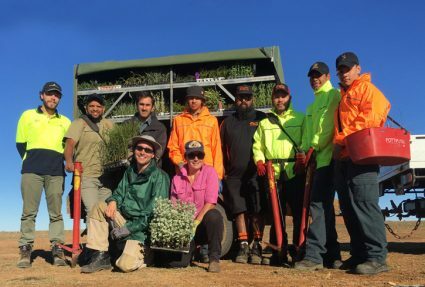 We have been engaged to help review the Bank Australia Conservation Reserve’s strategic planning and to manage delivery of on-ground works alongside Trust for Nature. “It is a privilege to be working on this visionary project with Bank Australia. 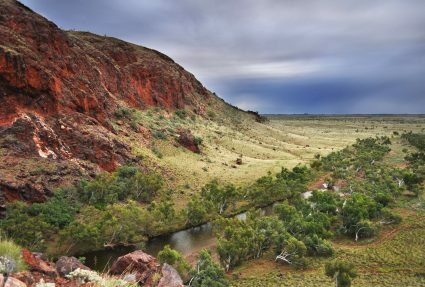 The reserve serves as a leading example of tangible corporate conservation action and climate change mitigation,” says Jess Gardner, Greening Australia Ecologist. The scenic reserve provides habitat for a diversity of native plants and animals including threatened species such as the South-eastern Red-tailed Black-cockatoo, Brown tree-creeper, Hooded Robin and threatened communities such as Buloke grassy woodland. The reserve is also strategically placed to return connectivity to the landscape allowing species to move between patches of remnant vegetation, contributing significantly to the realisation of the landscape scale conservation vision Habitat 141. “The bank is very excited about working with Greening Australia and Trust for Nature to use cutting edge science and conservation practices to deliver great outcomes at the Conservation Reserve,” says Ashley Chaleyer, Senior Corporate Affairs Consultant. Community engagement and education are core components of the project with local schools, ecologists, conservationists, Indigenous and community groups joining on-ground and planning activities. The reserve is a group of five properties in the West Wimmera region of Victoria, the first of which was purchased in 2008. Since then the bank has grown the reserve, planting trees to offset the emissions generated by the cars they finance, and protecting areas of habitat on the reserve equivalent to that lost by the building of their customers’ new homes. Get in touch if you are interested in partnering with us to create a healthier environment for people and wildlife.